Oolong tea is a delicious Chinese tea that offers characteristics of both green teas and black teas. It offers a delightfully varied flavor profile thanks to a production process that is fluid and adjustable. Each oolong is unique thanks to the impact of regional variation and the ability of tea masters to customize each harvest and each variety. 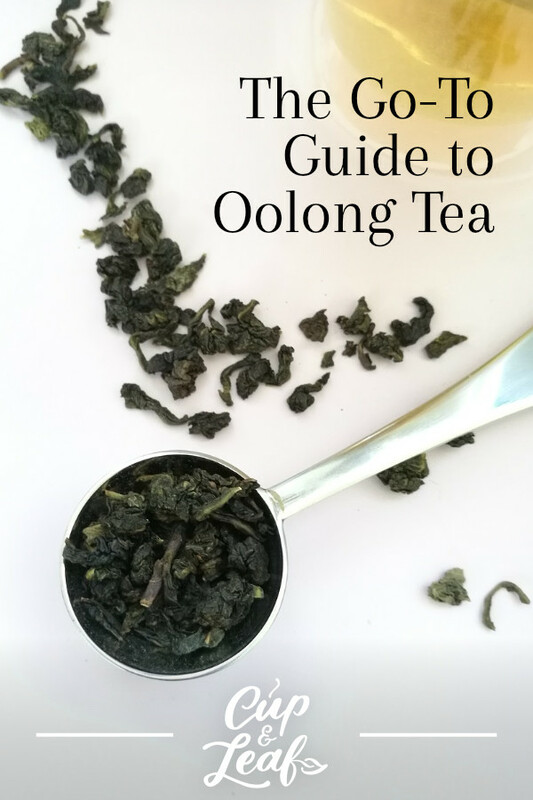 Discover what oolong has to offer when it comes to health benefits, flavor, and tea enjoyment. Oolong tea, or wulong tea, is one of the five true tea types—along with white tea, green tea, black tea, and pu-erh tea— made from the leaves of the Camellia sinensis plant. The tea is classified as a Chinese tea and is one of the main tea exports from China. The term wulong in Chinese literally translates to "black dragon tea". Oolong tea is a semi-oxidized tea that is processed using sunlight and air. The leaves are harvested and withered to reduce moisture content. Then the leaves are gently bruised to encourage enzymes to react with oxygen—a process called oxidation—after which the leaves turn a deep brown and develop a rich flavor. 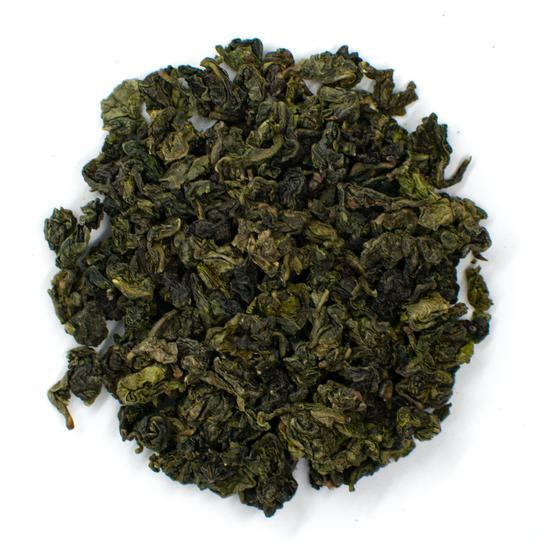 Oolong teas are often cultivated using specific varieties of the tea plant. The leaves can be oxidized anywhere from 8 to 85 percent and tea manufacturers carefully monitor the process. 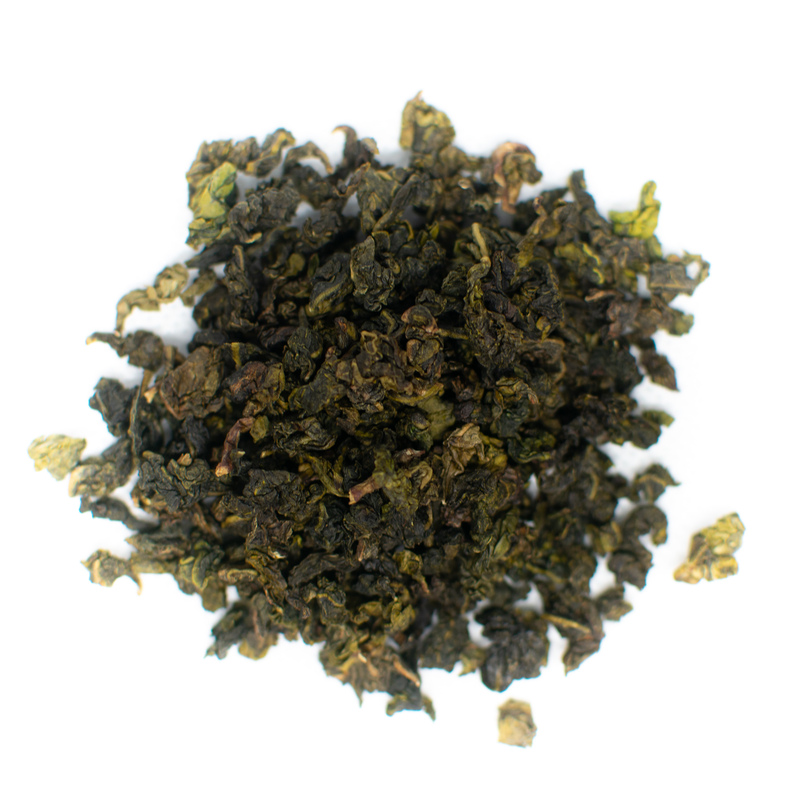 Due to the wide range of oxidation levels, oolong teas offer dramatically varied flavor. Leaves that are oxidized for shorter periods of time tend to have a sweet, floral flavor. Those that are oxidized longer tend to be more robust with earthy and woodsy notes. Lightly oxidized teas have a lighter body while heavily oxidized teas are thicker and richer. Most oolong teas are shaped into curly spindles or pearls. 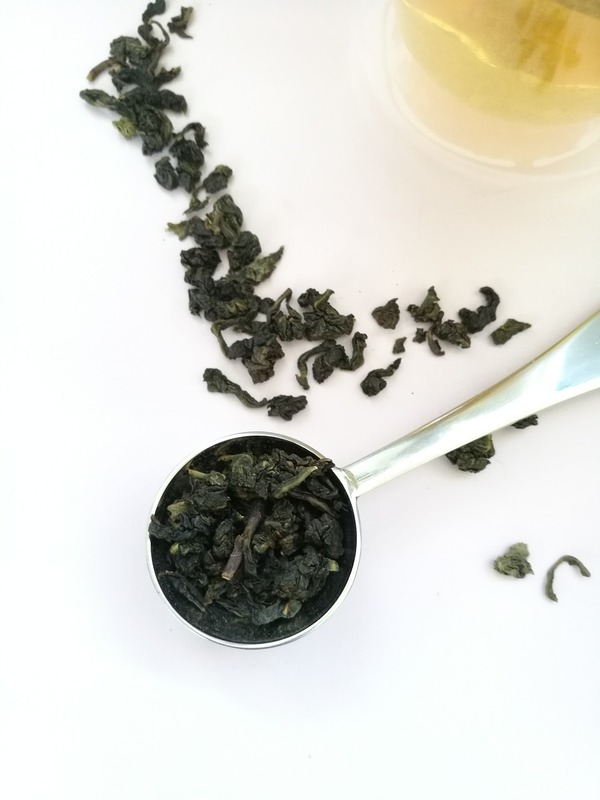 Oolong teas are frequently used as a base tea along with herbal teas to create flavored teas that offer deeper and more intricate flavor profiles. This tea is an integral part of the Gongfu tea ceremony practiced in the Fujian region of China. The Gongfu tea ceremony is similar to the Japanese tea ceremony, except the temperature and presentation rules are slightly different. For a proper Gongfu cha, the temperature of the oolong tea should be between 203 and 212 degrees Fahrenheit. The tea is presented using a yixing teapot and traditionally served in three cups known as Pinming cups. Try rich, exquisite flavor with our Milk Oolong Tea. Milk oolong tea is most commonly produced in China and Thailand. The name doesn’t refer to the addition of milk to your cup of tea, but rather the milk-like flavor produced during the oxidation process of the oolong tea leaves. This oolong is floral and creamy with a luxurious full-mouthed finish. 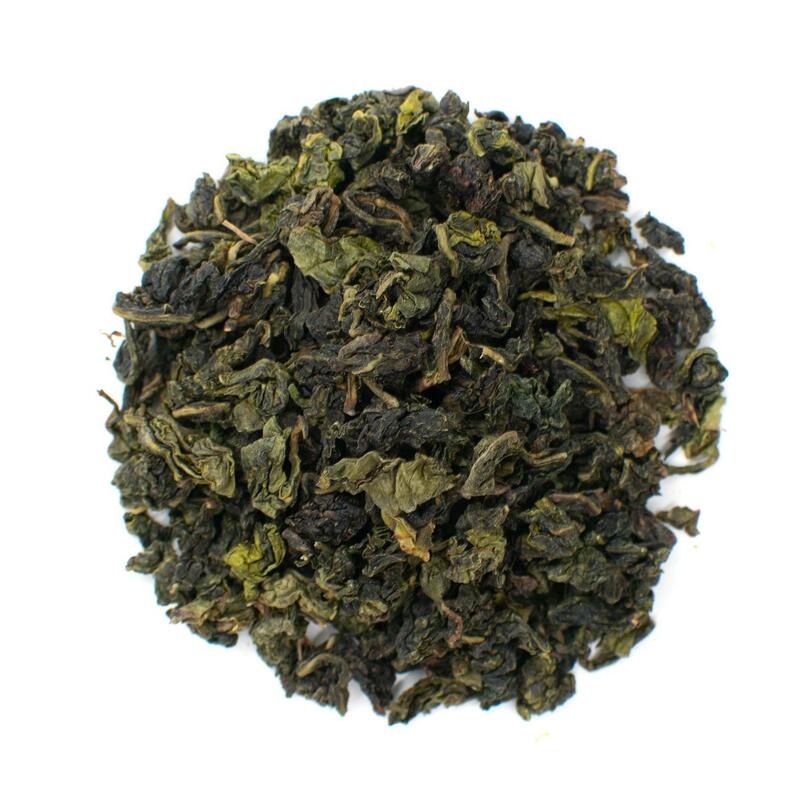 Try the most famous wulong with our Iron Goddess of Mercy Oolong Tea. This oolong is one of the most famous Chinese teas. It is produced in the Anxi region of the Fujian Province. 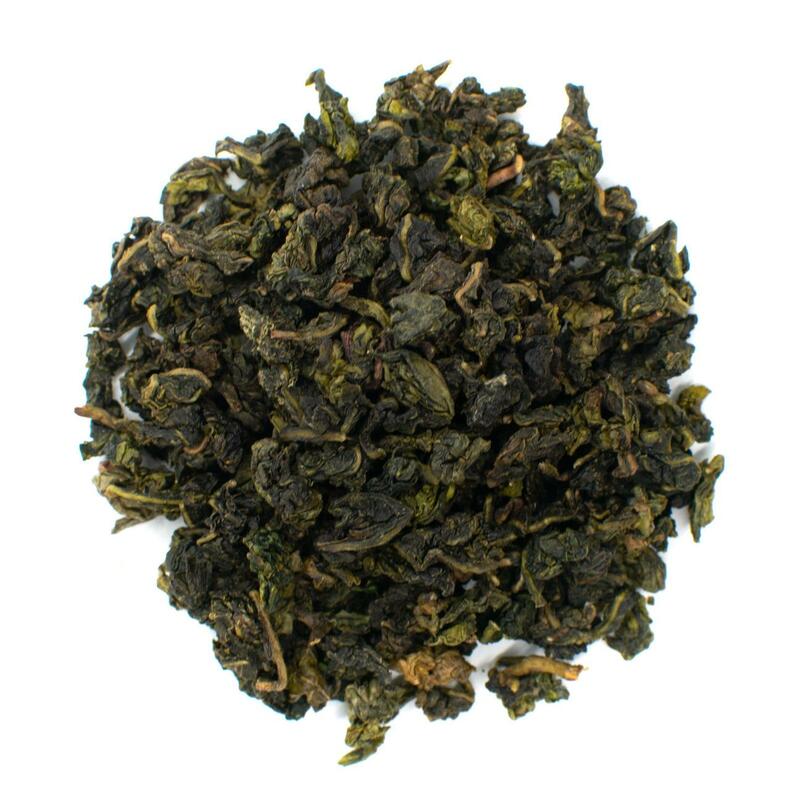 This oolong is grown high in the mountains and was served to emperors. Today, these oolongs offer hints of honey and floral flavors in a light and airy body. This oolong tea is known as one of the most expensive teas in the world. The highest quality leaves are harvested from plants that grow along mountainous cliffs and have been established there for more than 1,000 years. 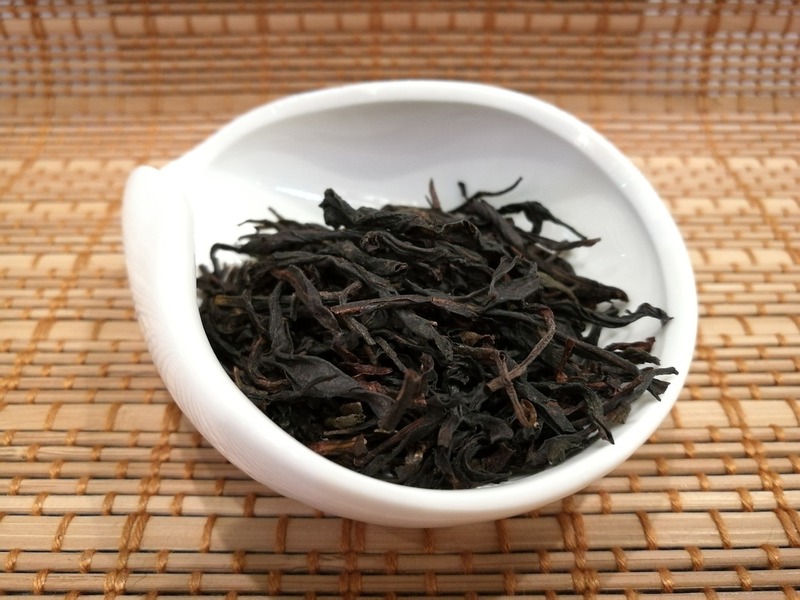 Other lower-quality Wuyi oolongs are more affordable and made using newer plants. This tea is often called Red Robe tea and features a deep maroon color. It is heavily oxidized and offers a brisk, smoky flavor that is rich and layered. Introduce tastebuds to the delicate character of light oolongs with our Se Chung Oolong Tea. Se Chung oolong tea is lightly oxidized resulting in a delicate flavor that is slightly herbaceous and reminiscent of green teas. The leaves are fermented just long enough for the leaf tips to turn brown before they are fired to prevent further oxidation. Slightly earthy and highly aromatic, give this lesser-known oolong a shot if you're looking for a light oolong with exquisite flavor. Oolong tea has long been used in traditional Chinese medicine as an herbal remedy for everything from stomach ailments to heart disease. Today, medical research has backed up some of the claims that this tea is beneficial to human health. Many traditional medicine enthusiasts believe that drinking oolong tea provides health benefits for the heart. A study published in the Journal of the American College of Nutrition found that oolong tea contains catechins and tea polyphenols that may help lower the risk of heart disease (1). In particular, researchers point to EGCG or epigallocatechin gallate as the main actor in the tea's heart benefits. According to a study published by researchers at the National Cheng Kung University in Taiwan, oolong tea consumption may also help lower high blood pressure (2). The study examined 1,507 Chinese men over a period of several years. The research showed that those who drank at least half a cup of oolong tea daily had a 46 percent lower risk of developing high blood pressure. Researchers argue that oolong tea's anti-inflammatory properties help to reduce inflammation in blood vessels and arteries. Additional research shows that consuming oolong tea may also have an effect on cholesterol levels. 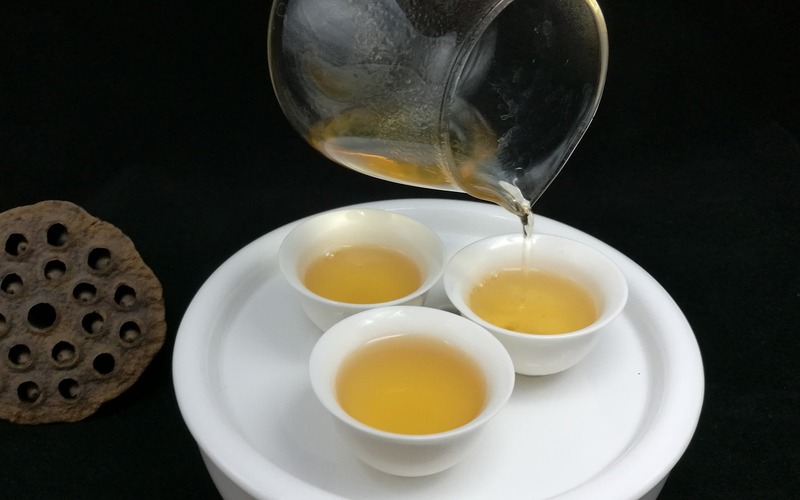 In a study published in the Diabetes Research and Clinical Practice, scientists examined the effects of oolong tea in 22 patients with type 2 diabetes (3). After one month of daily oolong tea consumption, patients demonstrated significant reductions in LDL cholesterol levels. While drinking oolong tea will not completely prevent diabetes, it may help in the treatment of the disease. Drinking oolong tea may help improve weight loss results when combined with a healthy diet and exercise. A study published in the Chinese Journal of Integrative Medicine created a study where 102 obese individuals consumed eight grams of oolong tea every day for 6 weeks (4). At the conclusion of the study, 70 percent of the severely obese participants demonstrated weight loss of more than one kilogram. Twenty-two percent of those showed body weight losses of more than three kilograms. Drinking tea when you're sick is one of the go-to treatment options thanks to its soothing nature. Oolong tea contains high amounts of vitamin C that offer protective effects against the common cold and flu. A hot cup of oolong tea can soothe a sore throat while a cool glass of iced tea can help lower your fever and keep you hydrated so your body can fight off the infection. Oolong tea has very few side effects when consumed in moderation and using proper brewing techniques. However, there are still a few things to keep in mind when adding oolong tea to your diet. Oolong tea contains a moderate amount of caffeine that can trigger nausea and negative side effects in people with caffeine sensitivity. The caffeine content can also cause problems if consumed in large amounts when pregnant or nursing. Limit your caffeine intake to two cups of oolong tea per day if pregnant or breastfeeding and avoid oolong tea if you have severe sensitivity to caffeine. Oolong tea can also inhibit calcium and iron absorption. Long-term consumption may decrease bone mineral density. If you have a bone disease such as osteoporosis, it's best to avoid drinking oolong tea. Always consult a healthcare professional before drinking tea if you have a medical condition. There are two methods to brew oolong tea: the traditional Chinese way and the western way. You can also brew oolong tea using oolong tea bags, but most tea experts believe the flavor of bagged teas to be inferior to loose leaf varieties. Whichever method you choose, follow these general guidelines when brewing oolong tea. 1. Bring water to 200-212 degrees Fahrenheit depending on your oolong variety. Lightly oxidized oolongs should brew at lower temperatures than heavily oxidized varieties. 2. Use 2 tablespoons of loose leaf tea for every six ounces of water or one tea pearl if your oolong is sold in ball form. The health benefits of oolong tea and it’s delicious flavor combine to make this tea a beloved powerhouse. Whether you drink tea for the taste or to promote health, you’re sure to find something to love in a cup of oolong. 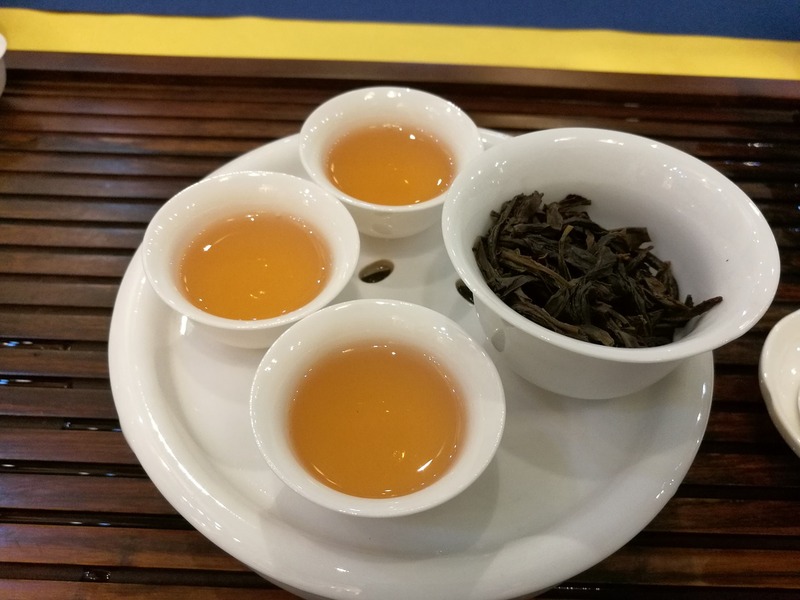 Drink oolong tea and enjoy the light, fruity flavored of gently oxidized varieties or go for robust taste with heavily oxidized oolongs and their earthy, rich notes. This classic Chinese tea is a great way to enjoy the artistry of tea making and discover incredible new flavors.